Big Energy Saving Week starts today Monday 21 January 2019. This national campaign is designed to help people cut their energy bills and get the financial support they are entitled to. #energysavingweek focuses on how you can save money on energy costs by switching energy supplier or tariff, and how to make your home more energy efficient. Whilst it’s really important to understand your energy bill so you can determine if you are getting the best deal, it’s the little things that can make a big difference to your energy consumption. A good way to start is by having a Smart Meter which will tell you how much energy you’re using in near real time. It’s a really easy visual way of finding out what appliances, lighting and heating etc are using the most energy and the cost to you in pounds and pence (as well as kilowatt hours). 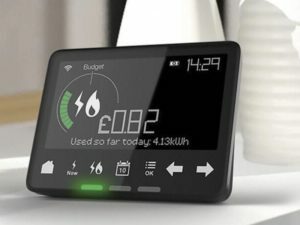 The Smart meter tracks trends over days, weeks or months so when you make changes you can see the results. A Smart meter is a great incentive to make the effort to change lots of little habits that can make a big overall difference to your energy consumption. Close doors, turn the central heating down a degree or two and wear a jumper! Bleed your radiators to make sure you’re getting the full amount of heat possible. If the top is colder than the bottom you should bleed your radiator. Turn off radiators in any rooms you’re not using. Why spend money on heating rooms you’re not in? Shut the front door – leaving the front door open whilst you bring in shopping or chit chat to a neighbour lets a lot of cold air in. Close the door in between bringing in the bags or invite people inside for a chat instead. Switch off electrical appliances when not in use. It’s amazing the amount of electricity used by the TV or computer monitor when left on standby. Also don’t forget to unplug your chargers and transformers. All those little power supplies to charge mobile phones, toothbrushes, and other personal gadgets are burning energy when they’re not in use. Only boil the amount of water you need – a full kettle uses a significant amount of energy costing around 2.5p. Another little saver is to put the lid on saucepans when bringing up to the boil. It not only saves energy, but also time! Be water wise – use a bowl instead of running the tap when washing up and see around a £25 saving per year. Knock one minute off your shower time and you could save £19 on energy and water bills! On bright days open the curtains to let the sunshine warm the house. Even in winter sunlight streaming through a window can increase the room temperature by several degrees. All that sunshine and looking out of our log cabins or glamping pods over the farm fields will cheer you up too! Although we generate our own electricity using wind and solar technology we are still mindful of our energy usage. We hope you have found this blog useful and that our top ten energy tips will inspire you to make a few little extra changes – the devil is in the detail! 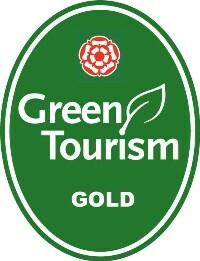 At Hoe Grange Holidays we are proud to be Green Tourism and support their #energysaving campaign. 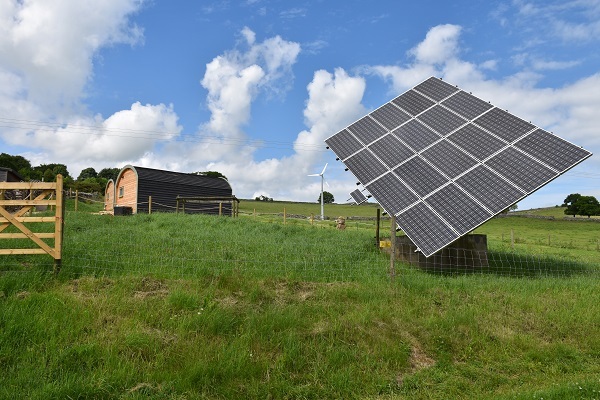 As a Gold Award holder the sustainable measures we have in place ensure that when you stay with us in our spectacular #peakdistrict you will leave a lighter carbon footprint.